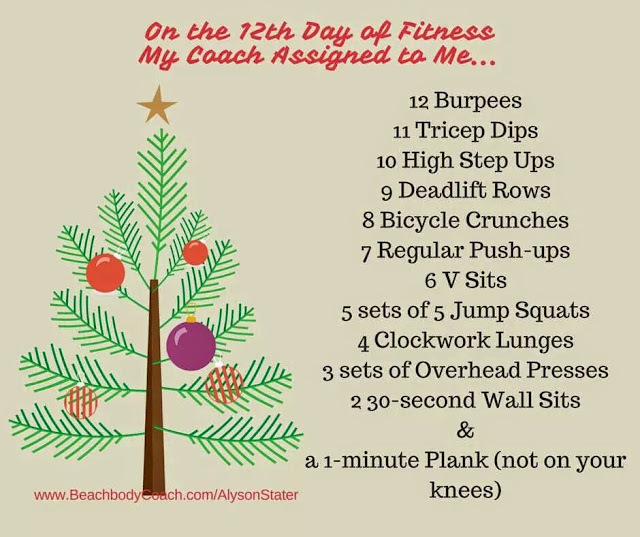 For the past week and a half on my own Facebook page, I've been posting a fun total body workout, day by day, based on the 12 days of Christmas. It was a little holiday gift to all my friends, and all of you are my friends too! Hope you all have a wonderful holiday season--and don't slack on those workouts. When time is tight, go through my 12 Days of Fitness routine to quickly get a total body burn. You can thank me later :). And P.S., if we're not friends on FB, go and shoot me a friend request!